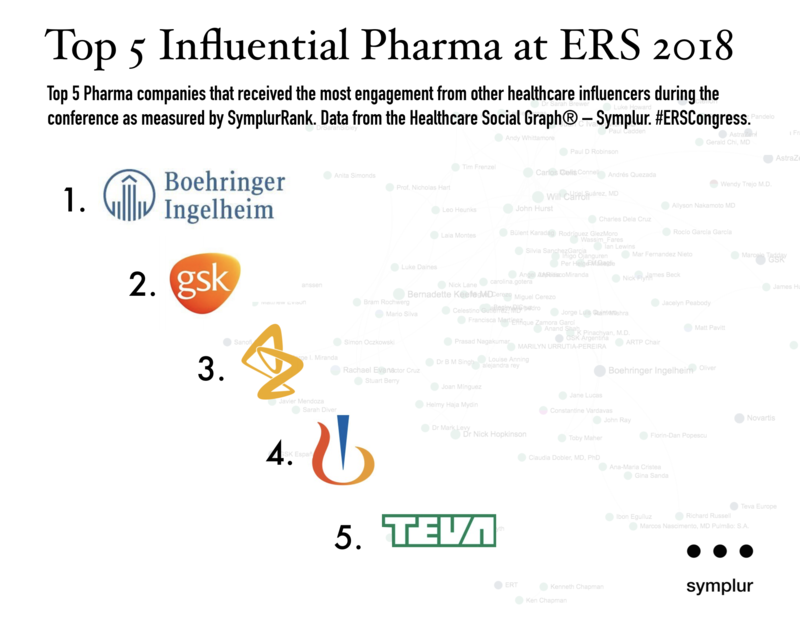 Top 5 Pharma companies that received the most engagement from other healthcare influencers during the conference as measured by SymplurRank. Data from the Healthcare Social Graph® – Symplur. #ERSCongress.